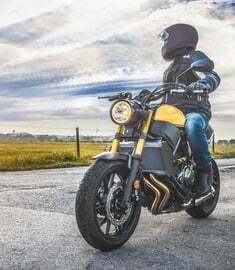 How do I trade in a motorcycle online with RumbleOn? Did you know that RumbleOn welcomes online trades? 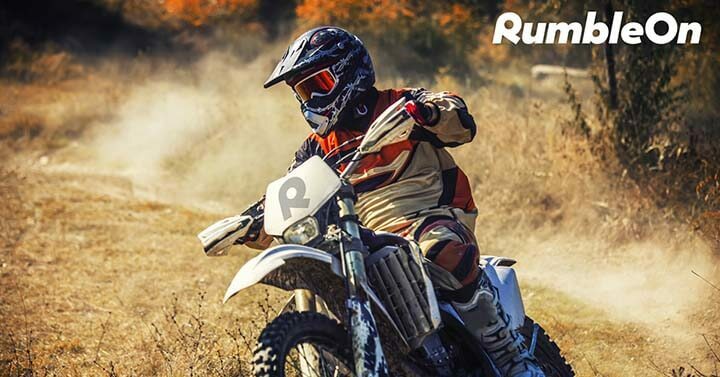 Not only is RumbleOn one of the best ways to sell a motorcycle or ATV, but if you want to trade in a motorcycle, ATV, or other powersport vehicle, this is the way to go. 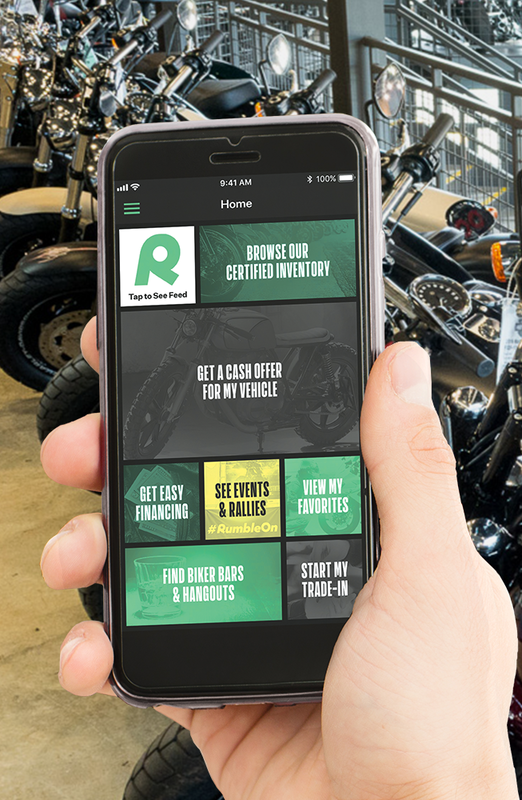 If instead of wanting to sell your motorcycle, a trade-in seems like the way to go, then RumbleOn has got you covered. It's time to break down some of your most frequently asked questions. 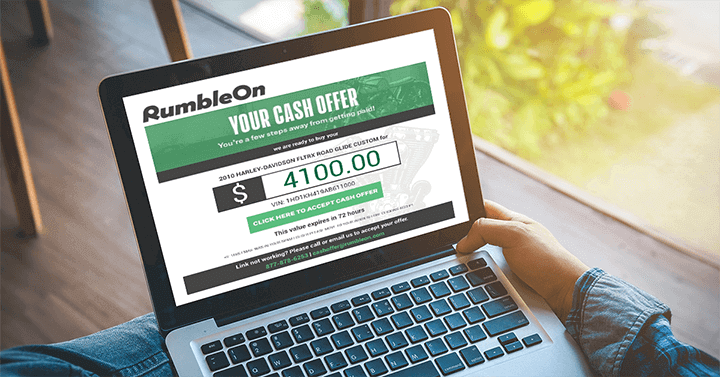 Here's how to work with RumbleOn to trade a motorcycle online. Want to trade for a new ride? Get your free cash offer and use it as a motorcycle trade-in value. Can I trade in my motorcycle to get a new one from RumbleOn? Yes, you can. RumbleOn welcomes trades of motorcycles, ATVs, and other recreational vehicles for any listing in our inventory. We will make you a cash offer on anything that has a VIN and give it motorcycle trade-in value. 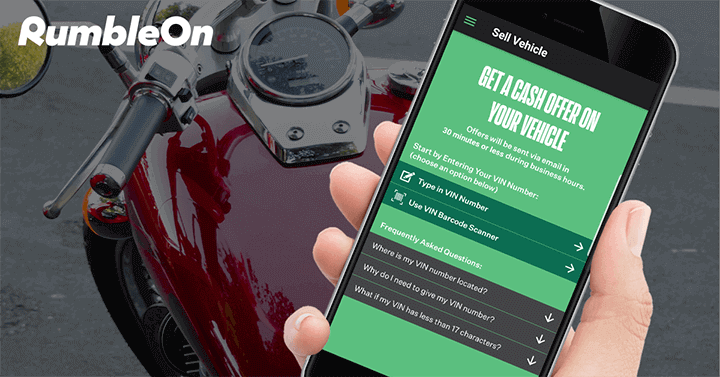 Just start your motorcycle VIN check with our simple online tool and get a cash offer sent to your email in 15 minutes or less. Have more questions? Check out How to Sell a Motorcycle Online and Vin Safety: Is it Safe to Give Out My Motorcycle Vin? Pro-tip: Submitted for a RumbleOn cash offer and haven't heard anything after a while? Check your spam folder! Sometimes our cash offers get sent there by mistake! What can I trade for a motorcycle? We accept many types of trades for motorcycles, such as ATVs, motorcycles, and more. If it has a VIN and a state title in your name, you can trade it. Please note we also do not accept salvage or “homemade” titles. How do I trade my motorcycle for a new one? If you want to trade a motorcycle, submit it for a cash offer on our website. 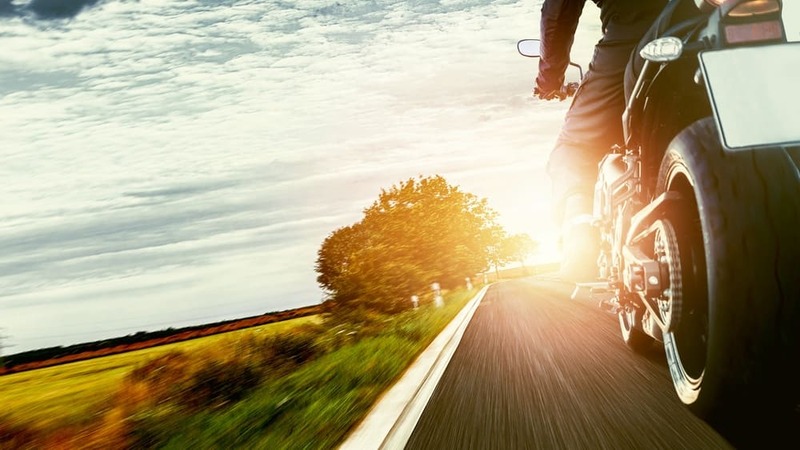 When you receive your offer, you have the option to either sell your motorcycle for the cash offer, or apply your motorcycle trade-in value to the price of a bike in our inventory. What if I change my mind and decide not to trade my motorcycle? Let us know if you change your mind on the trade. 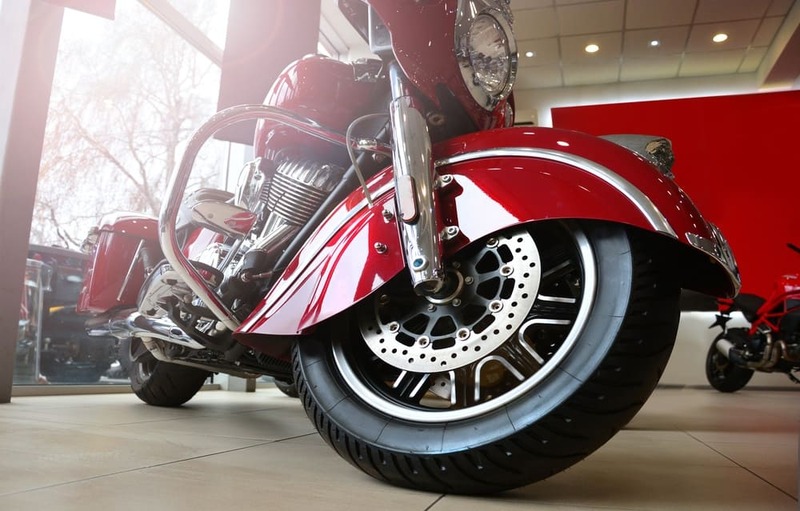 It is not a requirement to initiate a trade-in to complete a purchase and buy a motorcycle from RumbleOn. Can I trade a motorcycle and get financing, too? Yes, absolutely. We can treat your motorcycle trade-in value as a down payment! 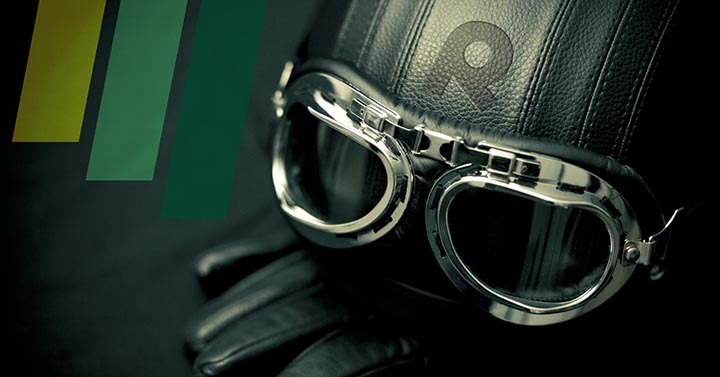 For more information about RumbleOn motorcycle financing, click here! How long does it take to get a cash offer for my online motorcycle trade? In most cases, if your motorcycle is submitted within regular business hours, you can get a cash offer for your trade within 15 minutes. Is RumbleOn legit? How can it be this easy to trade a motorcycle online? Yes! Check out our reviews on the BBB and Facebook to hear from our customers. It’s this easy: pick out a bike, get a cash offer, sign, and ride! How does pickup and shipping work for my trade? Typically, we will drop off your new purchase free of charge before we pick up your trade-in. In most cases, though, we are able to deliver your new purchase and pick up your trade at the same time. We pick up and ship your trade for free, and your purchase is also shipped at no cost to you! Trade in or sell a motorcycle the easy way. Get your free cash offer! Need fast cash? Want to trade for a new ride? Trade in or sell a motorcycle for cash. RumbleOn is a ready buyer!